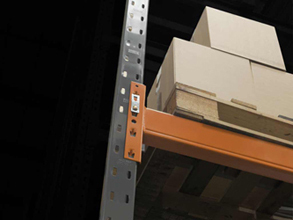 Dexion Speedlock Mk3 is one of the most popular pallet racking systems in the world. This tried and tested adjustable pallet racking system has been replaced by the Dexion P90 racking system, yet BSE UK are still able to supply Speedlock MK3 racking to clients within the UK. 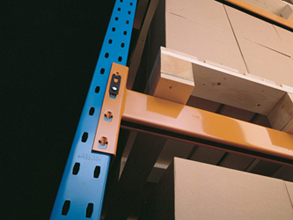 Dexion Speedlock Mk3 is one of the most popular pallet racking systems in the world. Dexion is recognised worldwide for its quality in design and manufacturing to exceptionally high standards. Speedlock MKIII is designed and manufactured to I.S.O. 9001 International Standards and complies with SEMA (Storage Equipment Manufacturers’ Association) Code of Practice for the design of pallet racking. You can also buy Dexion Speedlock MK3 components online at BSE UK – To order beams, uprights and safety locks call us on 01179 555 211.